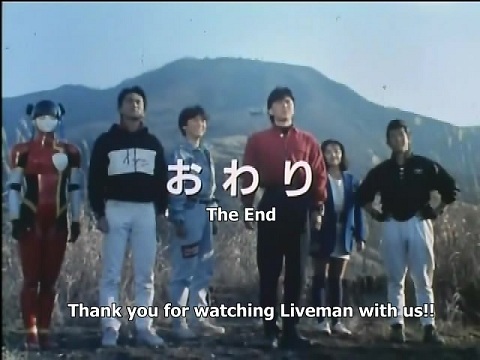 Grab The Last Episode of Liveman! Special thanks to MaskedShuuyu, Violethound, virushopper, Manson, BladeDancer, DinCahill, NathanTZ, Lynxara, JEFFB, Kamikaxxe, FortMax, Edag88, Dekasun, Tiger, Aoiblue, and DaiKamonohashi for their help on this project. Last edited by virushopper; 01-07-2012 at 05:29 PM. Amazing. Now i can finish Liveman. Legend...ary! Thank you so much to all the team for your hard work over the entire season.